BAKERSFIELD, CA— For Cristobal Chavez, getting clean water used to be as easy as dipping a bucket into a well at his home in Poplar-Cotton Center, a small town in Central California. Now, he spends about $200 a month on cases of bottled water for his family of nine to drink and cook with. Chavez stopped using the well seven years ago after the water tested high for nitrates, one of the most common contaminants found in rural areas. Although nitrates usually only affect infants and not adults, its presence often indicates the existence of other contaminants, like bacteria and pesticides. About 4.1 million Californians rely on contaminated groundwater for drinking and most of them are in rural communities, according to a 2013 report by the State of California’s Water Resource Control Board. In rural towns like Poplar-Cotton Center or in nearby Arvin, where per capita income is $10,582 and with a 37% unemployment rate, paying extra for water can be a major burden. Breadwinners like Chavez, who earns $16,000 a year, can spend as much as 10 percent of their income every year on a combination of bottled water and service charges from their local water district. 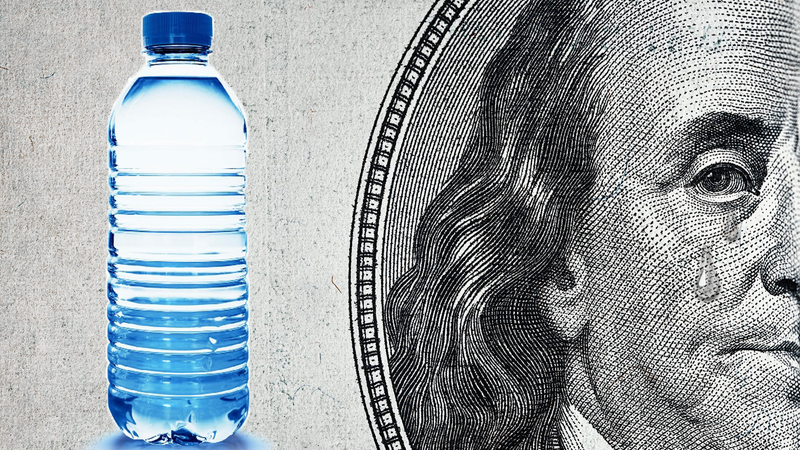 Despite the expense, bottled water is still the cheaper alternative. A new well for Chavez would cost upwards of $30,000—almost double what he makes in a year. Plus, he doesn’t trust the water. Chavez is like thousands of other Californians whose drinking water has been contaminated with harmful chemicals like arsenic and 1,2,3-TCP. With the chemicals come a variety of health problems including skin rashes, kidney and liver damage, and increased rates of cancer. In Arvin, a small farming town just outside of Bakersfield, Salvador Partida, a 63-year-old a tax preparer, and his wife spend close to $50 per month on water for drinking and cleaning. This isn’t a new phenomenon. Families in the Central Valley have been cautious about their water for decades. Jose Gurrola, 24, a member of the Arvin City Council. Gurrola’s family also cooks with bottled water, out of fear that cooking with the contaminated water could cause health problems. Despite the widespread distrust, some residents might not even know that their drinking water is contaminated. Water testing at private wells must be done at the owner's request so there is a likelihood that many who are still drinking from wells may be exposed to contaminants. Between the drought and contaminated groundwater, it’s no secret that the poorest families in rural California are among the most vulnerable when it comes to water access. “It's not a coincidence. If you look at environmental problems in our country in 2016 and you look at where low-income minority communities live, there's a direct overlap,” said Jared Blumenfeld, EPA regional administrator for California. Larger cities can afford multi-million dollar water treatment facilities, said Blumenfeld, whereas smaller cities and towns cannot. “Most cities like to build very big things that cost millions of dollars to solve problems like this, but in a small community like Arvin, there isn't the financial support from people who get water out of their faucets to pay for that,” Blumenfeld said. In Kern County where Chavez and Gurrola live, community groups are tackling the local problem by putting water filters on public drinking fountains and installing water bottle-filling stations in parks and schools. The project, Agua4All, is being led by the nonprofit groups Rural Community Assistance Corporation, Community Water Center and Pueblo Unido CDC with support from The California Endowment, a health foundation. The project is also being piloted in the eastern Coachella Valley, an agricultural area of Riverside County. The project also aims to raise awareness about clean water access in impacted communities, and is advocating for more long term solutions to the state’s water crisis, according to the Agua4All website.